We have built our business on a well received platform of providing each customer an outstanding cleaning service, as well as a fantastic customer service experience! It is our belief that each customer deserves an experience that is comfortable and welcoming. 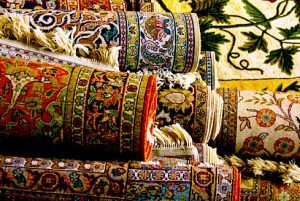 Whether you are an avid rug enthusiast who is new to the area and looking for just the right company to take care of your beloved textiles, or you have your first natural fiber rug and do not know how to take care of it, we have a wonderful staff that will help to make your experience with our company memorable! We believe that our dedication to making the entire customer experience comfortable and positive has been the backbone of our company’s success. Practicing our business methods in this manner has enabled our company to be capable of providing our services all throughout the Greater Central Florida Area. This includes our wonderful customers in the greater Tampa area reaching from area rug cleaning in Brandon to area rug cleaning Clearwater. 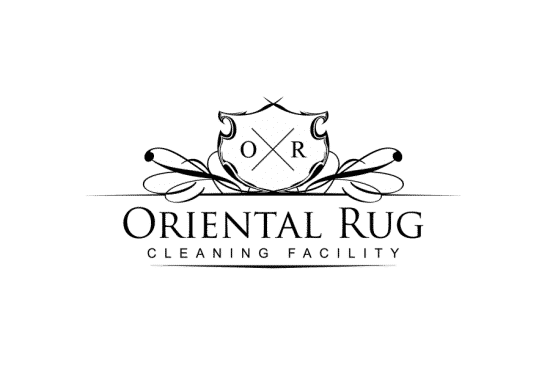 Besides our abundant repeat customers, we do regularly get customers calling us to ask if we offer oriental rug cleaning Clearwater services, as well as other areas throughout Central Florida. One of our staff members is always ready and happy to check your zip code to ensure that we can offer our services in your area. Or, you can always feel free to check out our service areas page on our website. 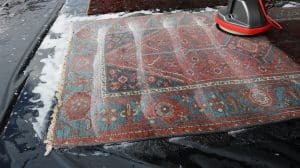 Most commonly, our company offers pickup and delivery services for all area rug washing appointments.We typically designate particular days and arrival windows for particular areas weekly, as this helps to keep everything nice and organized and all rug washings on track for on time completion. During all standard pickup and delivery services, we send one of our actual lead area rug technicians, along with an assistant. 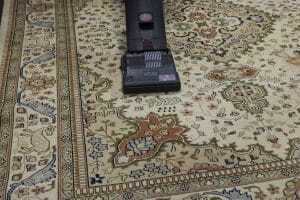 It has been in our experiences that we have come to realize the advantages that comes along with sending one of our lead area rug technicians (especially for pickups) to meet each customer and discuss the concerns associated with the area rug washing service that is going to be performed. This gives each customer the opportunity to meet a couple of the technicians who will be performing the services on their area rugs. Each customer can directly interact with a lead rug tech, which creates a great dialog, which in turn helps us to provide the best service possible. When chatting with one of our area rug technicians, the tech will ask you a few questions about your rug, just as we mentioned before. This helps us to possibly catch a little bit of helpful information that otherwise may have slipped through the cracks. Once your area rug is back in our facility, the magic begins! Before any services begin, one of our lead area rug technicians will perform an incredibly thorough, in depth inspection of your area rug. 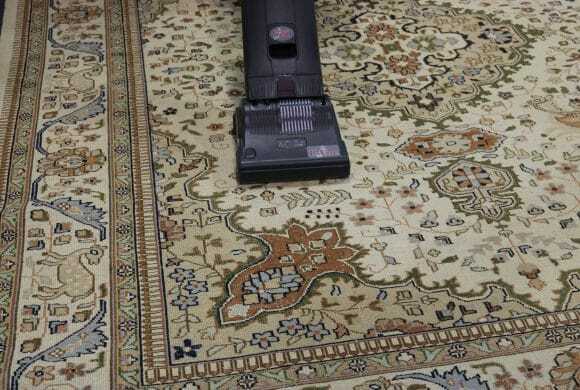 Checking for base fiber issues, color bleeding or dye transfer issues, damage to the rug and even verifying the materials used to craft the area rug will all play a factor in the outcome of your rug cleaning Clearwater service! If our area rug technician comes across any issues that need addressing, he would simply call you to discuss the found issue and what treatment options are available. We do have solutions and methods to help solve a variety of issues involving multiple aspects of the area rug washing process. The inspection will also tell the technician what methods of approach are best based on the fibers used, crafting method and dyes used. After the initial in facility inspection of your area rug, we begin the washing process. The first step is a thorough rug dusting. This process involves laying your rug out upside down on a custom floor where we use a hand operated tool to lightly beat the back of the rug, knocking all loose contaminants out. If your area rug has any urine issues, the urine extraction pretreatment would be carried out before the immersion wash begins. The urine extraction pretreatment is a highly effective treatment that completely removes all urine from within the area rug and totally eliminates any associated odor. Once the urine extraction process is completed (or if it is not performed), the rug is then laid out on a custom wash floor for the full immersion washing process to be carried out. The full immersion washing consists of applying cleaning solutions that are safe and effective for your specific area rug and then agitating all of the surface fibers of the rug, while it is fully immersed (flushed) with cool water. Once the washing process has been completed entirely, we then dry your rug and prep it for delivery. Our flash extraction drying process ensures that your rug is safely and completed dried in short order, which helps to eliminate the possibility of any issues that could come along with an extended drying process. To prepare your area rug for delivery, it will be thoroughly inspected one last time, vacuumed and bagged. We then deliver your nice, clean area rug! We have been in business for over a decade and greatly cherish each and every one of our customers! 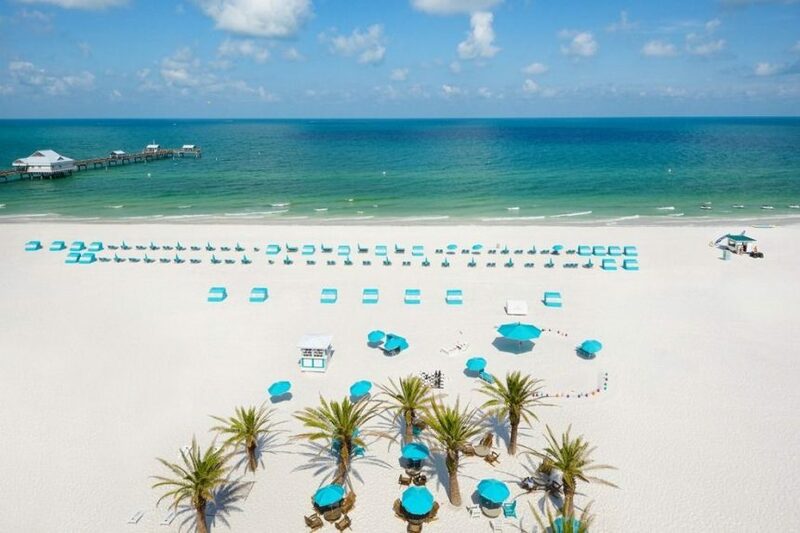 Without wonderful customers, like those who love our Clearwater area rug cleaning services, we would not have achieved the success that we have! We are dedicated to continuing to provide the best service experience possible! So, If you are looking for area rug cleaning Clearwater, FL, you have found the right place! 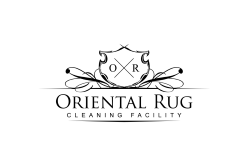 Give us a call at 813-344-5112, or check our out site OrientalRugCleaningCo.com for more information or to schedule your pickup appointment! Rug Cleaning St PeteKnow Your Stuff!